Lendo > News > Media > Lendo wallet whitelisting now live! Lendo wallet whitelisting now live! This week the wallet whitelisting process we described last week has gone live; so it’s time to get your wallet on the list! However, first you must complete the KYC process if you have not done so already. Our KYC process is very straightforward. •Go to the Verification tab and click on it. •You will see a list of the documents required and our validity requirements. •You will receive an email notification that your KYC has been approved, but please note this may take upwards of 10 working days. Once this is done you will be able to join the wallet whitelist! As we said last week, the ELT tokens will be released in January. 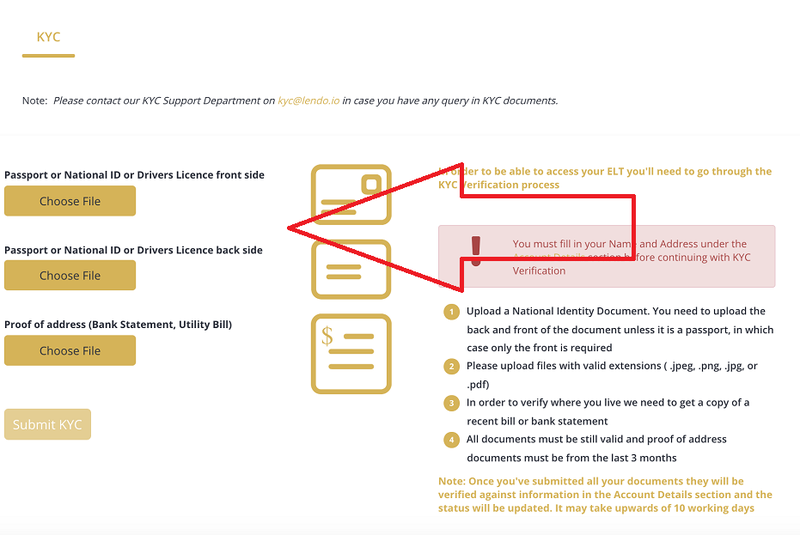 If you’re not sure whether or not you have completed the KYC – do check now! If you haven’t done it, just follow the instructions above.